Then this might be for you! It’s free, it’s Friday and it’s fun. Guest Artist Tiffany Mills is going to teach an open master improv/movement class open to all levels of experience this Friday from 1 – 2:15 in Miller 300. She will be warming everyone up, then using words or city names to begin a composition exploration that will involve improvisation. 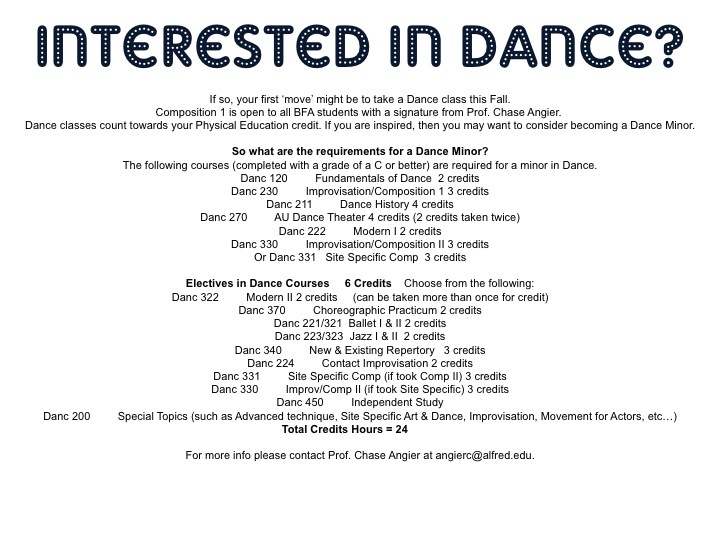 This isn’t just a straight up dance class, so no need to have any experience. It will be fun and will draw on your creativity whether you are comfortable or not with Dance. This entry was posted in Happenings, SPRING 2012 and tagged dance, dance class, fun, improvisation, tiffany mills, todo on February 1, 2012 by ruralscape.